When I began my homestead journey, I had never even seen a chicken up close. I grew up in the suburbs of a big city and no one I knew had chickens in their backyard. Fast forward to today. We have been raising our own chickens for about 5 years now. We have had mostly laying hens, but we have had to butcher a few roosters that got out of hand. Old, grumpy roosters don’t usually taste very good, even if you pressure cook them for a long time. They are just past their prime. This fall, we are starting something new (and checking something off the goal list!) and raising purely meat chickens. Unlike the dual purpose breeds we have had in the past, these chickens are going to be raised strictly to be slaughtered for meat. Why raise chickens for meat? Organic chicken at the store is very expensive. And even though it says organic, you never know exactly how those birds were fed or treated. By raising an animal yourself, you can control what they eat, how much room they have and how they were butchered. We want our chickens to have a good life before they end up on our table for dinner. Factory farms don’t provide them that. 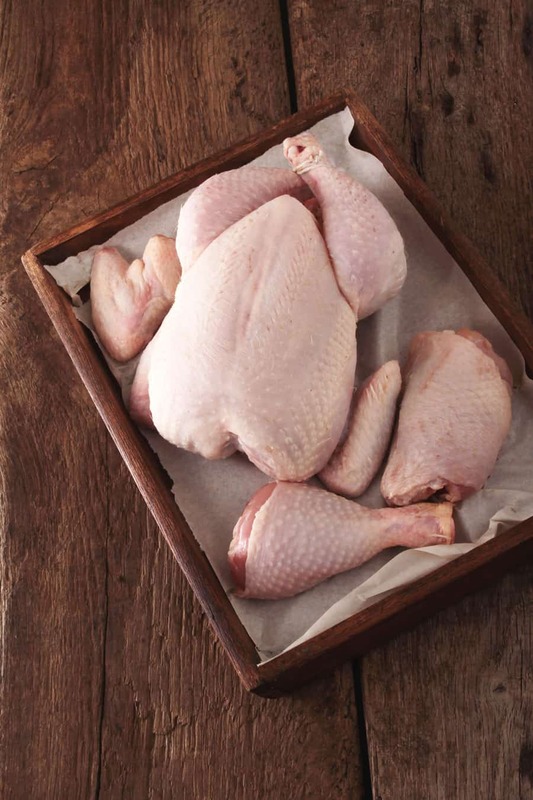 How are meat chickens different from laying hens? Meat chickens only live about 10-12 weeks depending on breed. Laying hens can live many years, depending on your preference. Meat chickens are bred to have large breasts which are good for eating. Meat chickens grow fast and eat constantly if you don’t watch them. Laying hens grow slower and don’t mature for several months. Meat chickens have more health problems if they grow too fast. You must watch and care for them more closely than laying hens. Meat chickens don’t forage much for their own food. They will eat until they die on the food you give them, so you have to regulate their food 12 hours at a time. Meat chickens poop wet poop and they can make a large mess quickly. Their coop will need to be cleaned out more often or if they are in a chicken tractor it needs to be rotated often. Will raising my own meat chickens save me money? The chickens I bought at the feed store were $2.14 each. I was originally going to buy them online from a hatchery, but they were going to charge me $50 extra for shipping! So I ordered through my local IFA and they didn’t charge any shipping because they were already ordering fall chickens for their store. Cost varies depending on where you live and how much your feed will cost. You will want to add your feed cost to the cost of the birds and divide by how many birds you butcher. The reason I say by how many birds you butcher instead of how many birds you bought (we are starting with 15), is because meat chickens are notorious for getting sick or dying of health problems. Most likely you will lose a few before butchering day. When you compare costs, you need to compare with the organic birds at the store. Don’t just compare to any bird because your’s will probably be healthier than even the organic chickens at the store. 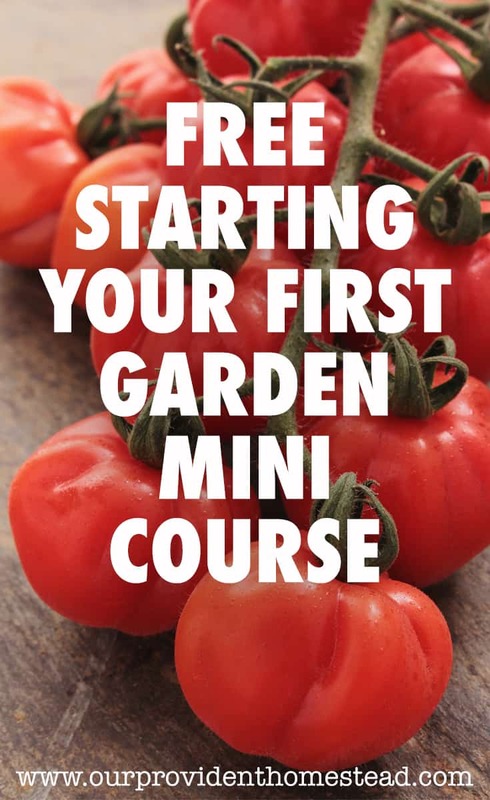 I will update this post at the end of the 12 weeks and let you know if it was cheaper to grow our own. Even if it isn’t cheaper, the quality of the food is much better than store bought. Just like raising regular laying hens, there are a few things you need to get started. 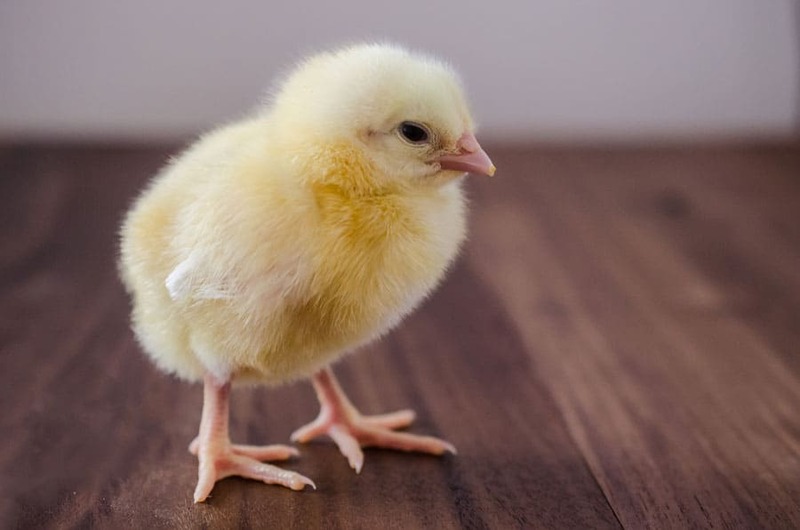 I discussed those things in this post about baby chicks, but I will add them here too. Once your meat chickens get bigger (probably a couple of weeks because they grow fast), you will need to move them outside. You can buy(or make) a separate coop for them or keep them in a chicken tractor that moves around for less cleanup. You don’t want to put your meat chickens in with your regular hens and rooster. The meat chickens will eat everyones food and maybe even the eggs. You will also have to clean out the big coop more often if the meat chickens are in there too. The best resource I have found on raising your own meat chickens is by Marjory Wildcraft of The Grow Network. She has an awesome video series that tells you everything you need to know about the process from chicks to butchering. When you buy the video, you also get some awesome bonuses: 2 videos and 2 e-books on raising chickens. The videos by Justin Rhodes are funny and helpful. Anyways, I can’t say enough good things about this DVD and the bonuses. You can buy the digital version or get the DVD in the mail. As for my family, we are starting our journey raising meat chickens. Today on our Facebook Group I will be doing a Facebook Live from our garage (where we are keeping the chicks) to show you our set up. 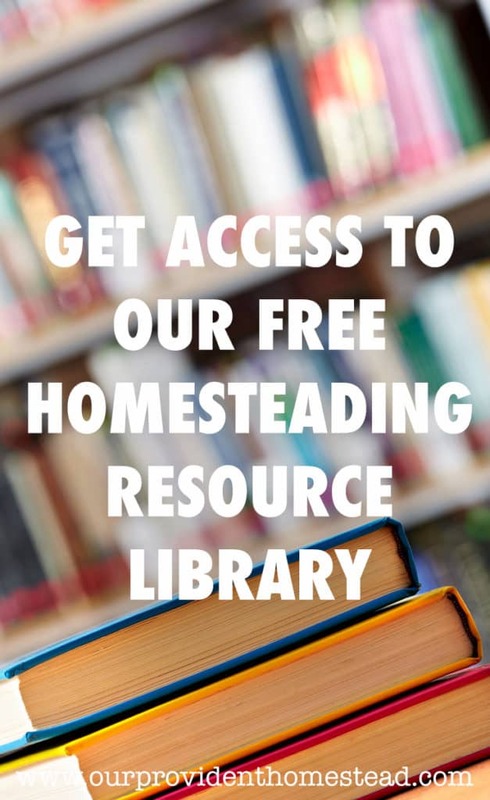 If you are interested, you can join the Facebook Group Provident Homesteading and watch the replay anytime. We hope that by raising our own meat chickens, we are taking charge of the quality of our food. If this interests you, please join us in raising your own meat chickens. Edited: Here’s what happened with our meat chickens: Raising Meat Chickens: 5 Things I Learned the Hard Way. If that isn’t possible where you live right now, see if you can find local farmers to buy your chickens from so that you can know that your food was raised in the best way possible. 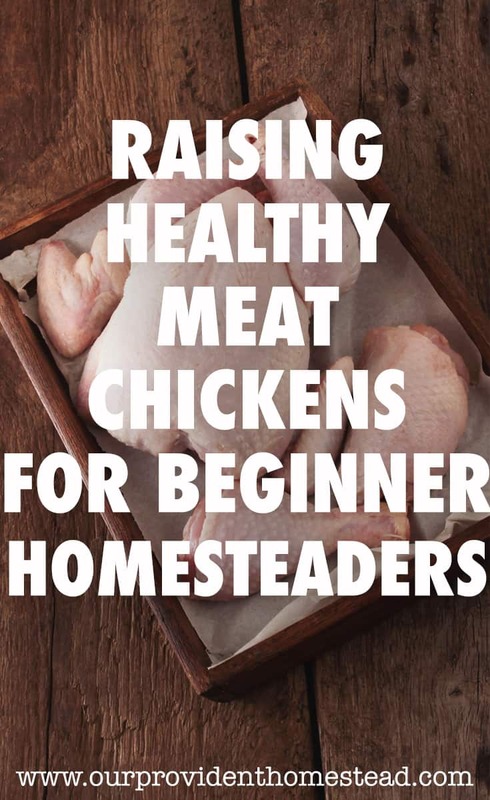 Have you raised meat chickens before? Please your suggestions in the comments below. And if you found this post helpful, please share. Thanks!